Subscribe to get deals from hundreds of merchants including the best of Greenwood Fish Market! Oops! 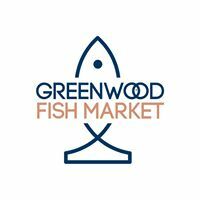 Looks like there are no active promotions for Greenwood Fish Market. OFFER VALID 12/01/2018 - 02/28/2019. Only valid for dine-in during lunch from 12nn to 3pm. Not applicable for takeaways, private parties/events of more than 10 pax.. Additional S$10 for Thermidor style.. Each lobster weighs between 500 to 550 grams.. Privileges are available when payment is made with the American Express® Card, including American Express Corporate Cards and American Express Cards issued in Singapore by DBS Bank Limited, United Overseas Bank Limited and Citibank Singapore Limited. Prices listed may be subject to service charge and prevailing government taxes where applicable. Privileges cannot be exchanged for cash or used in conjunction with other promotional programmes, offers, discount cards, vouchers or VIP privileges, unless otherwise stated. Merchants’ terms and conditions apply - please check with respective stores for details. American Express acts solely as a payment provider and is not responsible or liable in the event that such services, activities or benefits are not provided or fulfilled by the merchant. Card Members acknowledge that any disputes in relation to the above are to be directed solely to the merchant providing such services, activities or benefits. American Express International, Inc. is not responsible for the endorsement of any service or product featured. Merchants are solely responsible for the fulfilment of all privileges. American Express International, Inc. and the business establishments reserve the right to change the terms and conditions at any time without prior notice. All information is correct at the time of print. Visit amexnetwork.com.sg for more details.. For dining privileges, privileges are not applicable on eve of Public Holidays, Public Holidays, the first 15 days of Chinese New Year and special occasions such as Valentine’s Day, Mother’s Day and Father’s Day, unless otherwise stated.. Please always check with the merchant on the validity of the promotion before purchase.